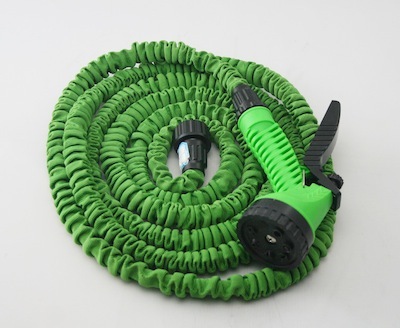 The X-Hose™ is the incredible expanding hose that automatically expands up to 3 times its length while giving you a wide diameter and powerful high-flow spray. 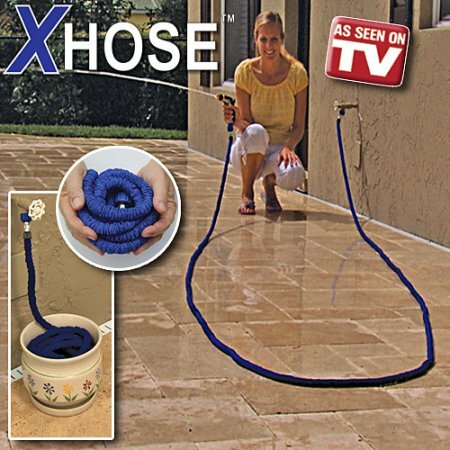 Simply turn the water on and watch the X-Hose™ grow. Turn the water off and the X-Hose™ contracts back to a short length. No more struggling with heavy hoses – X-Hose™ has a light and kink-free design that weighs about one pound! Made from a tough, expandable inner hose and a folded outer hose made from super strong webbing, the X-Hose™ is like no other hose in the world. 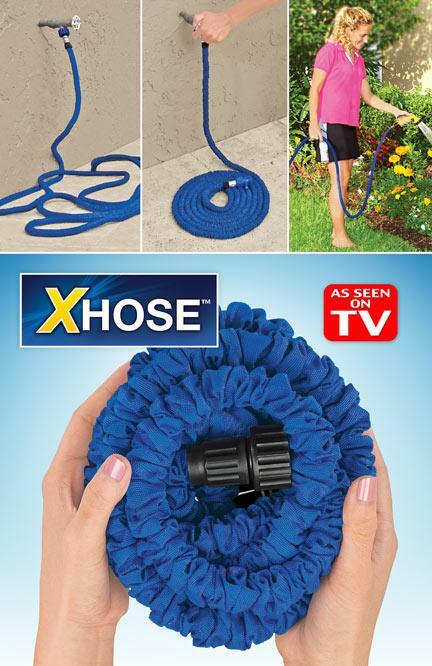 You'll be truly amazed at how much easier X-Hose™ makes your work around the house and yard!